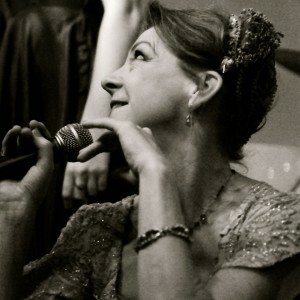 Bio of Anastasia ('Tasha') Bertram, ballet dancer, singer, actress & teacher. going to The Legat School of Russian Ballet. Tim later instigated the design concept and construction for the transformation of the school chapel into The Nicolava Theatre. Upon leaving The Legat School in 1978 Tasha went directly to Italy to join Liliana Cosi and Marinel Stefanescu with La Compagnia Balletto Classico. Within a year she became one of the company’s young soloists, dancing lead roles in Don Quixote, Sleeping Beauty and Raymonda. Tasha returned to the UK a year later to become a founder member and Soloist with The London City Ballet, under the direction of Harold King, which grew to become one of Britain’s best loved touring companies with Princess Diana as patron. Diana was a regular visitor to the Company, sitting in on rehearsals and attending performances. During that time, Tasha was inspired by a track by The Stranglers, called ‘Waltzinblack’ from the album ‘The Gospel According to The Meninblack’. She contacted the band directly telling of her choreographic idea and by return of post, received an enthusiastic reply from Hugh Cornwall suggesting that the band visit the ballet studio to view the finished work. A few weeks later, Tasha had the honour of welcoming one of the longest surviving and successful bands to have originated from the UK punk scene, into the studios of The London City Ballet. while ‘The Stranglers’ looked on. They loved what they saw and the idea of having ballet dancers performing with them on stage really appealed and Tasha and her dancers were invited to perform live with The Stranglers at Hammersmith Apollo and the famous Rainbow Theatre. This culminated in the Ballet Troupe being offered a tour of the States with The Stranglers. Leading on from her ballet career, Tasha ventured into the world of acting where she met and later married actor Mark Sangster and soon became mother of two children, Thomas and Ava. When her son was ten, he took an interest in acting himself and Tasha chaperoned him all over the world while he appeared in many iconic movies. Tasha then discovered a new lease of life and creativity. She decided to launch her own film production company, ‘Brodie Films’ and together with her son, Thomas Brodie Sangster they produced their first short film, ‘A Hat For The Camel’, which she adapted from a 1940’s radio play written by her grandfather, Anthony Bertram. ‘A Hat For The Camel’, played at several Festivals earning itself an award for best design. Not only did Tasha adapt the screenplay, she also produced the film, played the lead role of Madame Blanche and wrote the soundtrack. The latter, launching her onto the music circuit under the name of Winnet. Her music began by writing lyrics of a ‘Utopian love’, which led to her searching for chords to match it on a guitar. 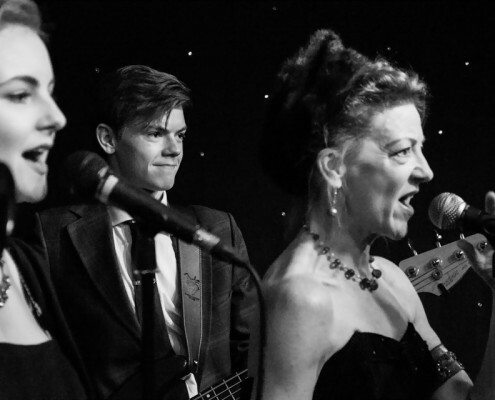 This very quickly led to the birth of her family band, ‘Winnet’ with her son Thomas Brodie Sangster on bass guitar, her daughter Ava Sangster as second vocalist and their father Mark Sangster on drums. Tasha has built the band’s sound up around her life experiences incorporating musicians from jazz traditions, and independent players to play music that covers an array of genres and cultures, always maintaining an inspiring visual. 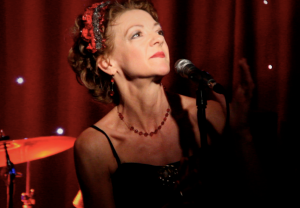 Her voice enhances songs that draw on musical influences as diverse as Edith Piaff, Marlene Dietrich, Jacques Brel and Kurt Weil. Winnet have an appeal as a family band that offers an original sound encapsulating music to incorporate worldly jazz with an array of dance and theatre. Tasha’s background incorporates both, so she naturally integrates this into everything she does. People now flock to see Winnet perform and relish in their warmth and unique charm, portraying a perfect balance of French and English ambience. Tasha’s sheer tenacity can only be admired and respected, for despite all the obstacles and struggles that life has placed in her way, she has always maintained her beliefs and ambitions. Tasha, as Winnet, has an endearing quality of mischievousness that will make her eternally youthful, an individual who believes that she carries and encapsulates the Spirit of The Legat School of Russian Ballet. With this said, it was not surprising to see her return to her roots of ballet. Tasha is now an established freelance ballet and character teacher, choreographer and coach and is currently seeking new and more stable opportunities.